Entry Level BERNINA with full size arm. comes with hoops, embroidery, and more! 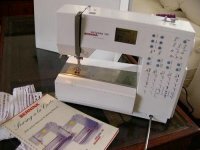 A sewing machine is probably the largest investment you will make in any of your sewing tools. Making an informed decision will allow you to buy sewing machines that meet your needs, save you hours of frustration, and allows room for your skills to grow. Sewing is fun when the machine works with you to create anything you want. Sewing machines can be found for less than one hundred dollars to over ten thousand dollars. Carefully think about how much you are honestly going to use the machine and adjust your spending accordingly. Keep in mind that a bargain is not always a bargain. A machine that is not designed for how and what you want to sew, can lead to hours of frustration, or worse… giving up on the craft all together. 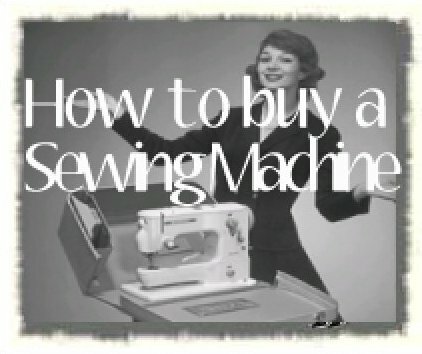 Online or locally, learn about a machine dealer before you spend your money on a sewing machine. Subscribe to newsletters for the best deal and to learn the communication level of a dealer. Learn about the longevity of the business. Too often we meet new people that bought their machines at new dealers, only to be left without support or lessons when the dealer goes belly-up. Learn what classes will come with the machine. Ask about the technician. Hours, availability and experience. Make sure you are comfortable with the set-up. Do they work on the machine in-house? What is the typical turn-around time? Help is a phone call away and they have direct support from the sewing machine manufacturer. Most have their own repair department, which avoids extended repair time leaving you without a sewing machine. Classes usually offered with your purchase, give you the opportunity to learn everything your sewing machine has to offer and learn about optional equipment that may expand your capabilities. Most know the local sewing community so you can meet others to share interests and knowledge. Many will take the machines they sell as trade-ins allowing you to upgrade your machine when you can afford better options. Write a list of the kind of sewing you do so the dealer can help you find a machine that is suitable to your needs. Analyze which type of fabrics you would use the most and take samples or scraps with you. Test basic sewing techniques that you use on the sewing machines that you are considering. Make up sample facings, collars, multiple layers to top stitch or what ever you sew before you go to the sewing machine dealer. Even if you aren't planning on sewing buttonholes, test them on the machine you are considering purchasing. Look for even balanced stitching no matter what direction the machine is sewing.